Is being a surrogate mother a good way out of poverty? Problems with getting pregnant always puts stress on couples. And the poor dream about living a happy life without being poor. Being a surrogate mother gives women power. Surrogate mothers can help women be free. Housework should be paid. So when pregnancy is a job, we will see the value of the work women do in a new way. YES: Nayna Patel is the medical director at Akanksha IVF Clinic, Anand, Gujarat, India. More than 825 surrogate babies have been born at her clinic. Her work has been seen on the Oprah Winfrey Show and on the BBC. 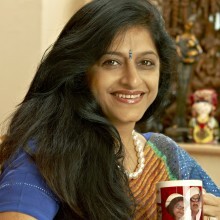 She directs the Anand Surrogate Trust to help surrogate mothers and their families. Being a surrogate mother gives women a very high position in a male, capitalist society. They have the right to their dreams – not by doing anything wrong – but by giving the greatest gift of making a family. Only a hungry person understands the value of a piece of bread. A woman feels helpless when she wants to feed her children and can do nothing about it. Is it OK to buy a house, educate children, start a small business and live a happy life by being a surrogate mother and helping a couple who cannot have children? Is it a good idea to leave a surrogate mother to a life of problems? No, the couple are really thankful to the surrogate mother and she is paid and the couple gets the baby. Everyone wins. Surrogacy means one woman can help another woman. So we can live on this planet, nature gave us two very powerful wishes = the wish to look after ourselves and the wish to have children. So, if a woman wants to stop being poor by doing something wonderful, I repeat that surrogacy is an OK way of doing it. First I want to say that I am talking about commercial surrogacy. The idea of helping a couple who can’t have children forgets that this is a global industry People say it is worth $3 billion in the US. A business newspaper writes that as part of the new medical tourism industry, the surrogacy industry brought $1–2 billion to India in 2012. NO: Mohan Rao is a medical doctor, working in public health. He is a professor at the Centre of Social Medicine and Community Health, Jawaharlal Nehru University, New Delhi, India. 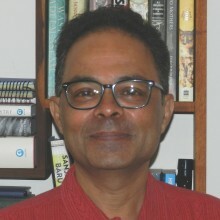 He has written From Population Control to Reproductive Health: Malthusian Arithmetic and, as editor ,The Unheard Scream: Reproductive Health and Women’s Lives in India. A senior official in the Indian Council of Medical Research (ICMR), says the figures are higher. What we need to talk about is imperial bio-politics: capital, labour and entrenched inequalities that are at the heart of this global industry. It is too simple to talk about commercial surrogacy at the level of the individual surrogate mother. She is the last link in a chain of people and they are all making a lot of money from her. The chain of people includes promoters, third-party administrators, travel agents, the hospitality industry, surrogate hostel admin¬istrators and, of course, the doctors. Often NGOs are used to find surrogate mothers. I don’t think surrogate mothers gain power. Most research on surrogate mothers shows us that they see themselves as slaves. They are seen as negative and many cannot return to their homes but they tell themselves they are not prostitutes. All arrangements, medical or other kinds, have a chain of people earning money. So why is surrogacy different? It is true that there are couples who cannot have babies without surrogacy and some have tried adoption. And there are women who want to have a better life for themselves and their families. We cannot judge surrogate mothers because they want a better life. You cannot learn much from the research. You have to meet the surrogate mothers personally and hear their experiences. I can give many examples of surrogate mothers whose lives have changed. Most of our surrogate mothers use the money to help their children into higher education, buy a house for their family, start a small business, and pay debts. They never see themselves as slaves! It is society which sees them in that way. Before you call them “Slaves”, please spend a day with them and see what problems they have. They never think of themselves as prostitutes. People see them as ‘prostitutes’. Their families help them. They are welcome back home. The surrogate mothers get power from this. It is not necessary to pay for medical help. Surrogacy exploits women. It is a business. It is not just to help people. Commercial surrogacy is mostly in poor countries, with a large population of poor women. These women agree to be exploited by the system. The system makes money out of the bodies of poor people, sometimes in medical research, sometimes in surrogacy. This is why governments have stopped the trade in body parts, such as kidneys. Doctors who prescribe surrogacy make the system stronger. After the experiences of slavery black feminists in the US disagree with surrogacy and say is not a choice and it does not give women freedom. They understand that surrogacy is slavery. It is true that a country which can’t give its people education and health often makes women become surrogate mothers. But the greatest number of surrogacies is in the US, one of the richest countries in the world, and with couples coming from Europe, Britain, and Japan. Nobody says that is exploitation. Also no one can make a woman a surrogate mother. It doesn’t happen in one day. The woman does it because she wants to. Is exploitation when a woman is a surrogate mother and with the money buys a house, educates her children, and helps her husband start a small business? Or is exploitation when a woman is poor and the husband kills himself and her children stop their studies because there is no money? If a country fails, should the women also fail? Surrogacy gives women power and respect from their family. There is no question of men controlling the system! You need to understand surrogacy. It is not slavery. The mother does not lose an organ like kidney transplants. It is more like giving blood. A woman can be a surrogate mother more than once - three times, says the Indian Council of Medical Research. So understand and accept surrogacy as a way out of poverty and say well done to these surrogate mothers! You give the responsibility for poverty to the individual. There are a billion people hungry in the world. Is surrogacy the answer? Surrogacy does not give women power. Women lose choice and their freedom and their control. So many women in India are forced into surrogacy by their families. 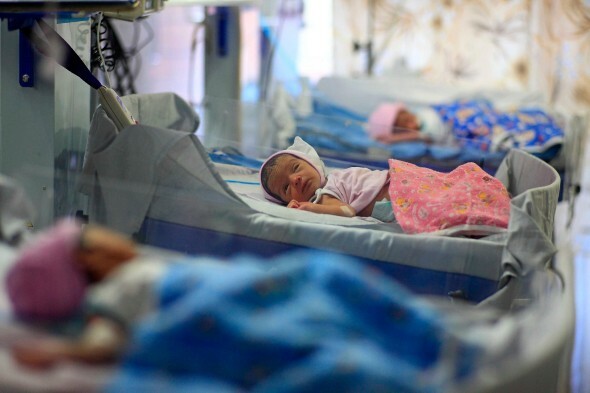 There are also reports of women trafficked for surrogacy. This is because of such negative views of women in India. What are the long-term effects on health of surrogacy? And, are surrogate mothers choosing surrogacy? Free thinking feminists value choice and by mistake they like the idea of a contract. How free is the labour contract? Surrogacy shows that paid work is not free. It is not surprising that surrogacy happens in the world’s richest nation. Capitalism, male run society and race come together there in the love of money. The surrogate mother says she is not an angel and not a prostitute. She is a woman who men exploit. This page was last edited on 14 March 2015, at 15:45.